The Executive Director, Local Development Research Institute (LDRI), Mr. Muchiri Nyaggah has called on African media to adopt open data to enable more evidence-based story delivery, NaijaAgroNet reports. 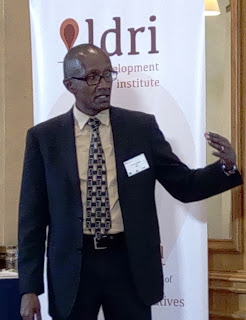 Nyaggah made this call at the opening session of the 4-day open data training for members of the Comprehensive Africa Agriculture Development Programme (CAADP) Journalists Network which commenced in Nairobi, Kenya on Monday. He highlighted the essence of the training as building the capacity of media practitioners to enable monitoring of progress and report on the implementation of the CAADP through the use of agriculture data and research. He told NaijaAgroNet that the objectives of the training include enthroning innovative ways to disseminate news and advocacy content to increased awareness on the agricultural transformation agenda in Africa. The LDRI boss further said that the session would enable them to keep an eye on and provide technological support to the participants in implementing what they learn within their organistions and becoming greater champions. As such, participants, Nyaggah said, would be trained on how to find, present and visualise data suitable to journalists’ needs, such as creating charts, maps or galleries, whereas providing the essential concepts, techniques and skills to effectively work with data and produce compelling data stories.